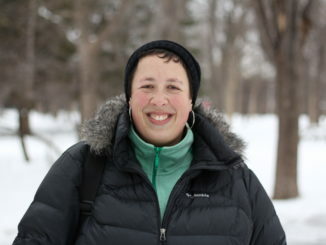 HomeTRAVEL TIPSClothes & GearBamboo S(O)CKS ! 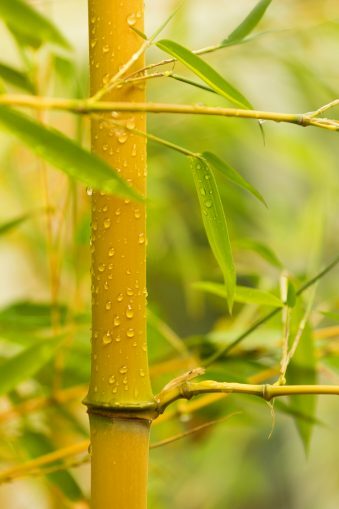 Bamboo has found its way in many of our homes in the past few years: furniture, flooring, blinds, even sheets… Have you heard about bamboo as a fabric for clothing? I discovered bamboo socks by accident, to be honest. 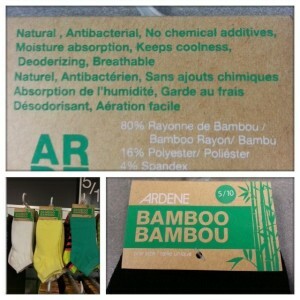 While shopping for ankle-sock for the summer at Ardene – who has the best price for socks at 5 pairs for 10 $ ! – I bought a pair of bamboo socks within the cotton ones. 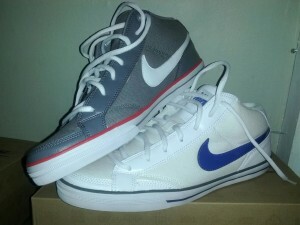 For 2 CAN $ plus (Canadian) taxes a pair, it comes to about 2.30 $. Even better: by buying all black pairs, I re-match the good socks together when one of the sock in a pair is worn-out! These 2 $ are an investment. The socks I bought were a mix of 80% Bamboo Rayon, 16% Polyester and 4% Spandex. (Bamboo alone would probably be sturdier or rougher; polyester avoids quick wearing and spandex makes a perfect fit and helps maintain the shape of the sock while keeping it tiny). At first sight, these socks seemed way too tiny for my feet, as I wear 10.5 men’s shoes (about a size 12 for women) and without requiring wider sizes, I have relatively wide paws. After putting them on, they stretched to cover all the way to the bottom of my ankle. (Good enough for me, I hate socks that are too apparent when I wear sneakers.) My biggest concern was that the sock would slip off its “position” when I walk and end up stuck in a bunch covering my toes and half of my foot with the heel and the rest sock-less. I COULDN’T BE MORE WRONG ! These little guys stayed in place for the WHOLE day. And because they’re so thin, I barely felt them! Other major point in favor of bamboo: its “breathability” and freshness. When you wear basketball sneakers of the kind shown here, even in the heart of the summer it’s already hot enough, imagine paired with thick cotton socks. Blargh. And let’s not even talk about the smell at the end of the day… not only do your shoes becomes a bacteria party, but they STINK! Well I can now forget about that issue too with bamboo socks! Less hot = less sweat = fewer bacteria = less smelly feet & shoes! That’s my kind of equation! On top of it, these socks are as lightweight as can be and incredibly small, so they won’t take up all the room in your luggage. They also dry very quickly, which is very useful when you do a little bathroom sink wash load in a hostel! So if it passes my test, I can only recommend that YOU try! Hopefully, you’ll get the same results that I did. It also improved my level of comfort and diminished episodes of swollen “paws” due to hot climate!